Thought I would share an adoption documentary and series from Britain that I recently watched. They’re not new (still recent), but I really enjoyed both of these and think they give a very candid look at the process and the emotions it generates of both the adoptive parent and child. Both of them focus on public adoption, and children which are classified as “hard to place”, or “special needs”. These terms encompasses children with severe physical and emotional challenges, older children, ethnic minorities, and sibling groups. 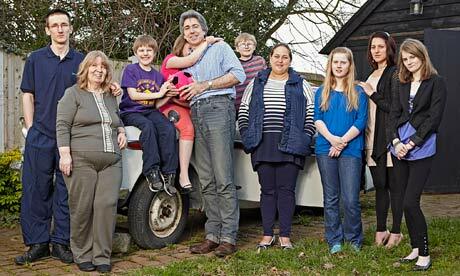 The first series “Adopt Me Please”, was a project whose objective was to find homes for special needs children in Britain. Despite it being from another country, their process is very similar to ours, and it gives a very good insight into the process of getting started, and approved to adopt. If you’re interested, you can view the three episodes on the TVO website, here. The second is a documentary called “A Home For Maisie” which was recommended on a chat board I frequent. It is an hour long, but broken down into four 15 minute installments on YouTube. This was very emotional to watch. They give a very honest look at life and therapy with a special needs child. In particular, I found the family therapy sessions that they allowed the crew to film, very interesting. Painful at times, but still, it was very informative. If you’d like to check this one out, you’ll find the first segment here. I only intended to watch the first two segments this evening, but found myself having to watch it all. And that was all due to Maisie. I had to see how her story turned out. It probably needn’t be said, but I would highly recommend these videos to anyone in the research phase or early stages of adoption. Their real and honest depiction gives newbies a look at what will or potentially could be experienced during your journey. I would also encourage family and friends to watch at least one of these. People not involved directly with adoption often don’t realize all the ups and downs adoptive parents and children face when becoming a family. As Maya Angelou always says, “When you know better you do better.” And I think that can apply to all of us, whether we be the adoptive parent, or part of the support system for that parent, and eventually for their child. If you do watch any of these, I’d love to hear what you thought of them. Update: Sad to say that “A Home For Maisie” has been removed from You Tube, due to copyright infringement. I looked to find a new link to post, but no such luck. If you ever come across it somewhere and get a chance to view it, I would strongly urge you to take the time to watch it.